Summer is here and it’s time to celebrate with this paper craft! 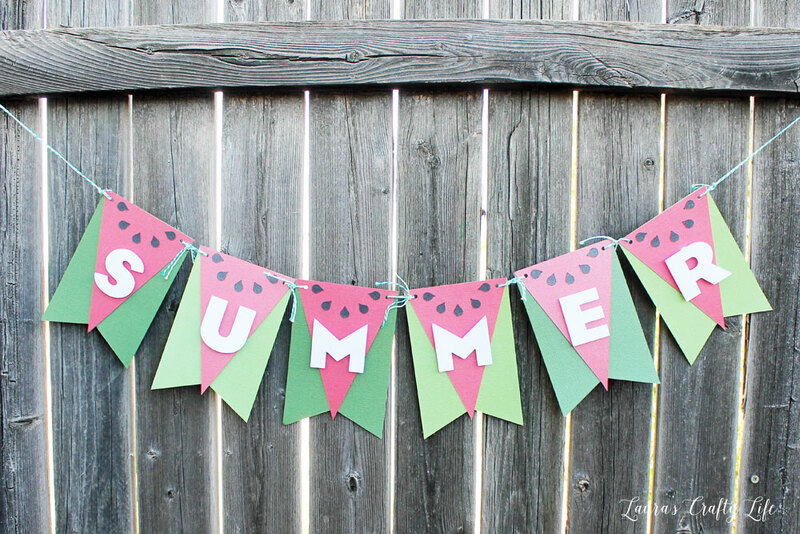 Make this DIY Summer Banner to hang indoors or out. 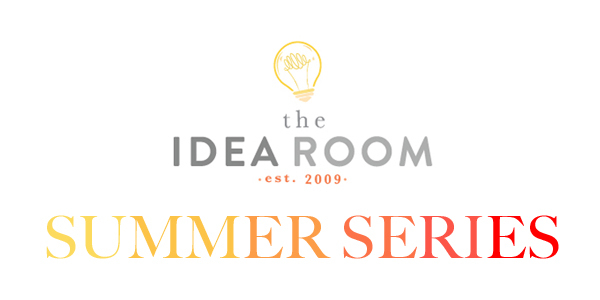 Learn how to make your own Summer Banner with our easy to follow DIY Banner tutorial! Hi everyone! I’m Laura from Laura’s Crafty Life and I am so excited to be here today to share with you how to create this fun watermelon summer banner. Nothing says summer to me more than a fresh, juicy piece of watermelon! 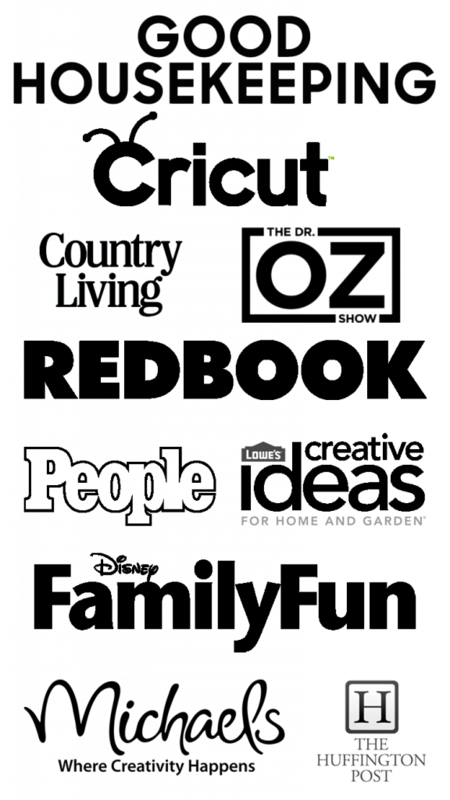 The DIY banner comes together really quickly if you have a digital die cutting machine, and if not you can still make it by cutting out some of the details by hand. 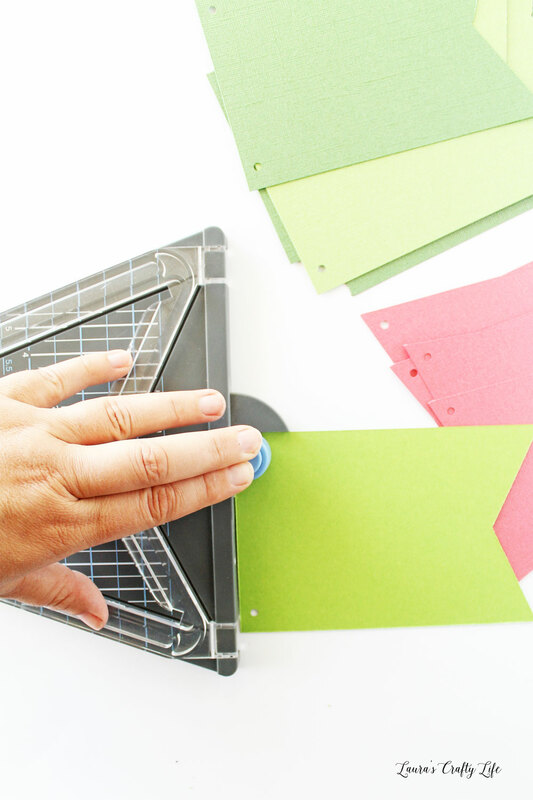 Start by cutting the green paper using your paper trimmer. 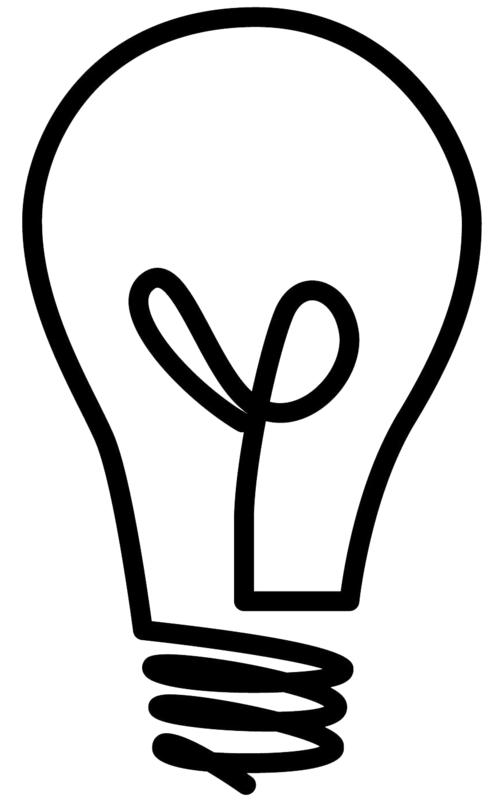 Each rectangle should be 4″ x 6″. I used three sheets of light green and three sheets of dark green cardstock to match the colors of the outside of a watermelon. Use the banner punch board to create flag banner pieces. Line the paper up using the 4″ vertical guides. I placed the top edge of the paper along the cut guides, so it would cut the v shape without losing the length of the banner piece. 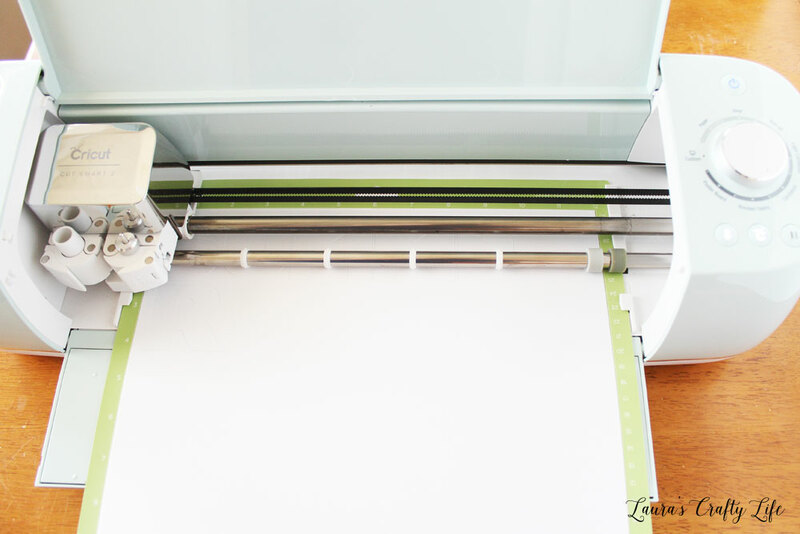 Close the cutting arm and use the cutting guides to create the banner shape. Do this for all six summer banner pieces. 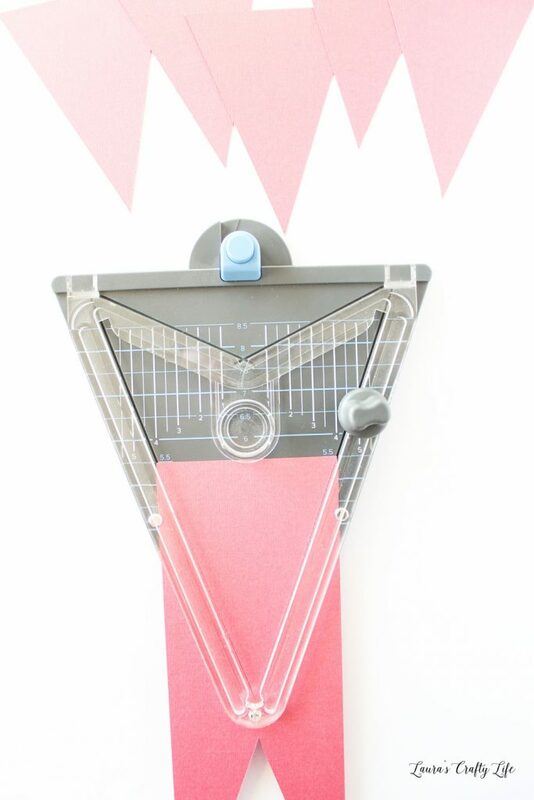 Cut 4″ long strips of the pink cardstock using your paper trimmer. Line up the top of the paper at the blue horizontal 5.5″ line. 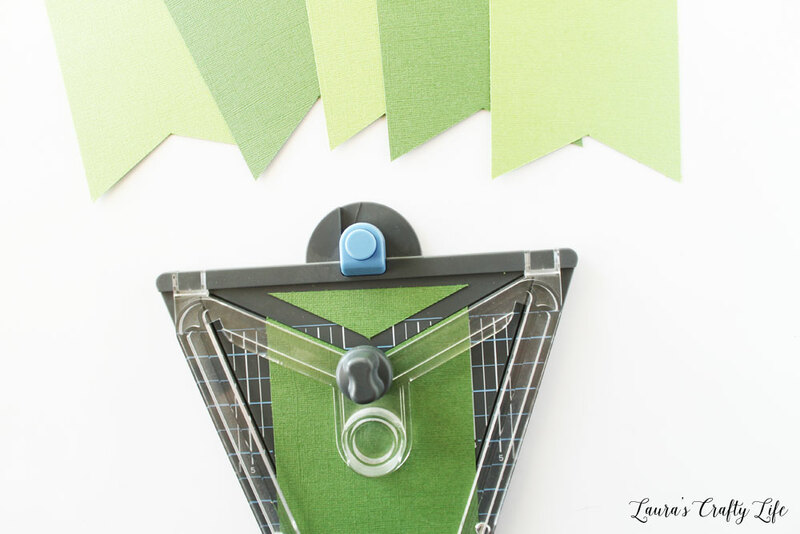 Use the bottom cutting guides to create a pennant-shaped banner piece. Create six of these pieces. Use the hole punch at the top of the banner punch board to punch holes in the top edges of every banner piece. 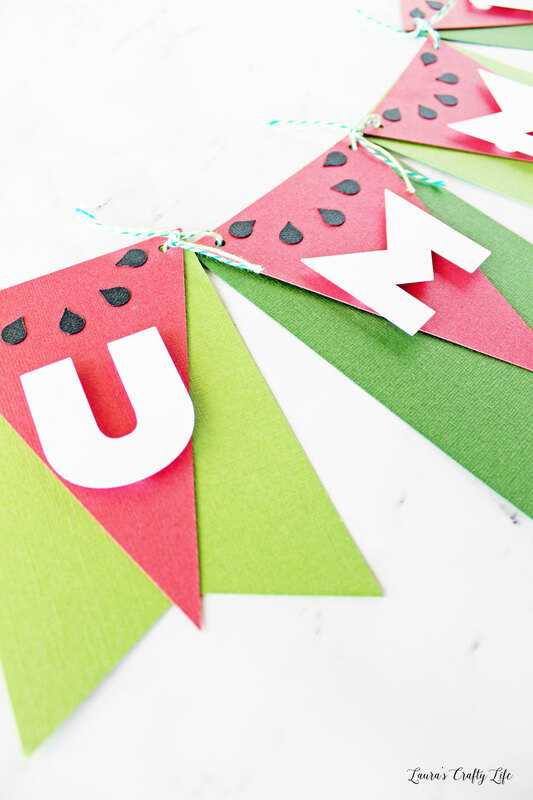 Open the Summer Watermelon Banner File in Cricut Design Space. 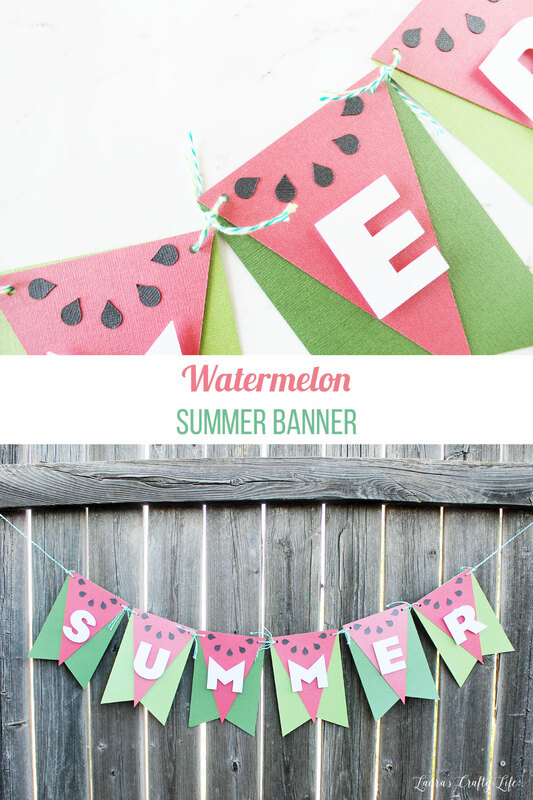 This has the template to cut the word SUMMER out of white cardstock and five watermelon seeds per banner piece out of black cardstock. Cut out the pieces using your Cricut machine. Note: You could cut out the watermelon seeds and summer letters by hand if you don’t have a digital die-cutting machine. Glue the black watermelon seeds to the top of the banner in a semicircle. 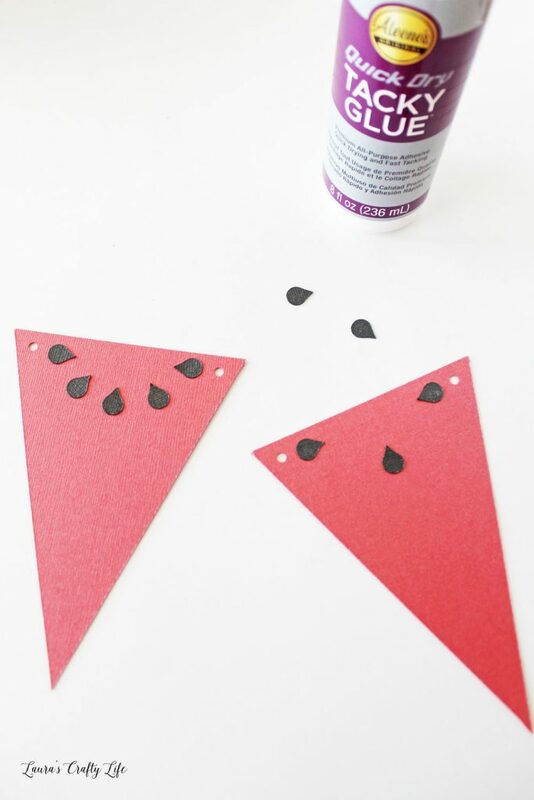 Attach the SUMMER letters to the pink watermelon pieces using foam adhesive dots. String the banner together using green twine. 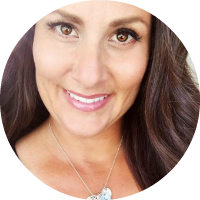 I used 6″ pieces of light green and dark green twine to tie each of the banner pieces together. I cut 12″ pieces for each end of the banner to be able to hang it. 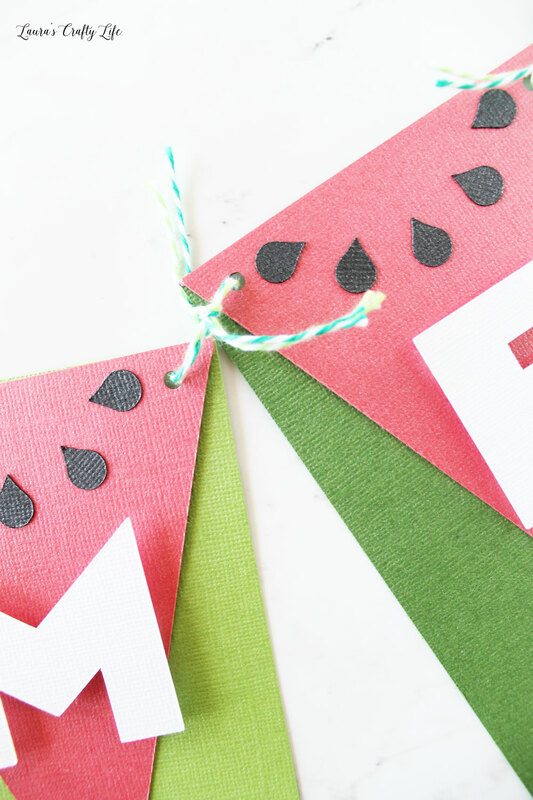 This watermelon DIY paper banner would be perfect for a backyard BBQ or even to decorate your mantel for summer. 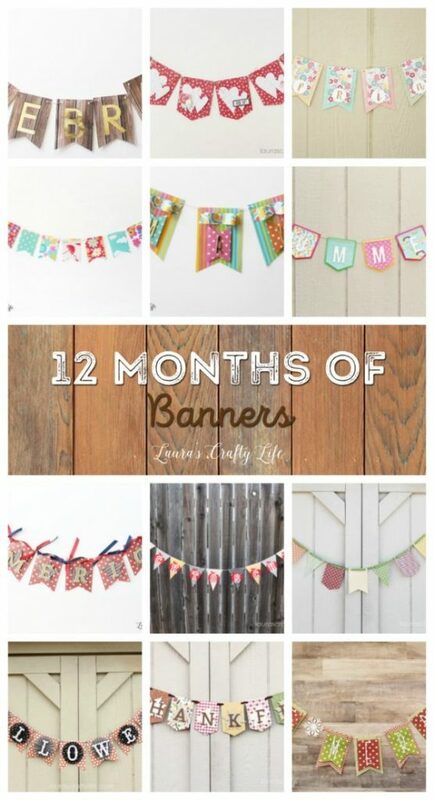 You can see more fun banners to make with the banner punch board in my 12 Months of Banners series on my blog.